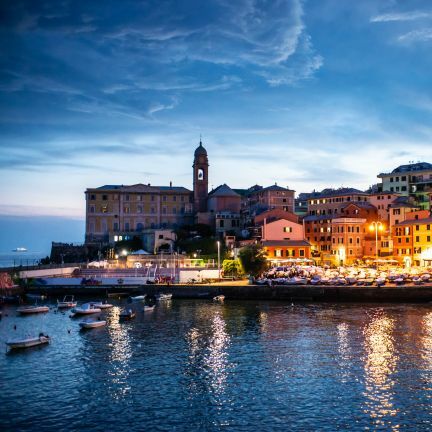 Panoramic terraces and ancient fishermen villages, small beaches and cliffs, beach resorts and glimpse caught between the walls of a building and a church, the Porto Antico and the promenade designed at the beginning of the 20th century. Genoa and the sea have a strong but peculiar bond. The sea is always present in the history of the city and in the background, but if you want to touch the water in the city centre you will have to uncover small passages and almost secret beaches, like Santa Chiara. 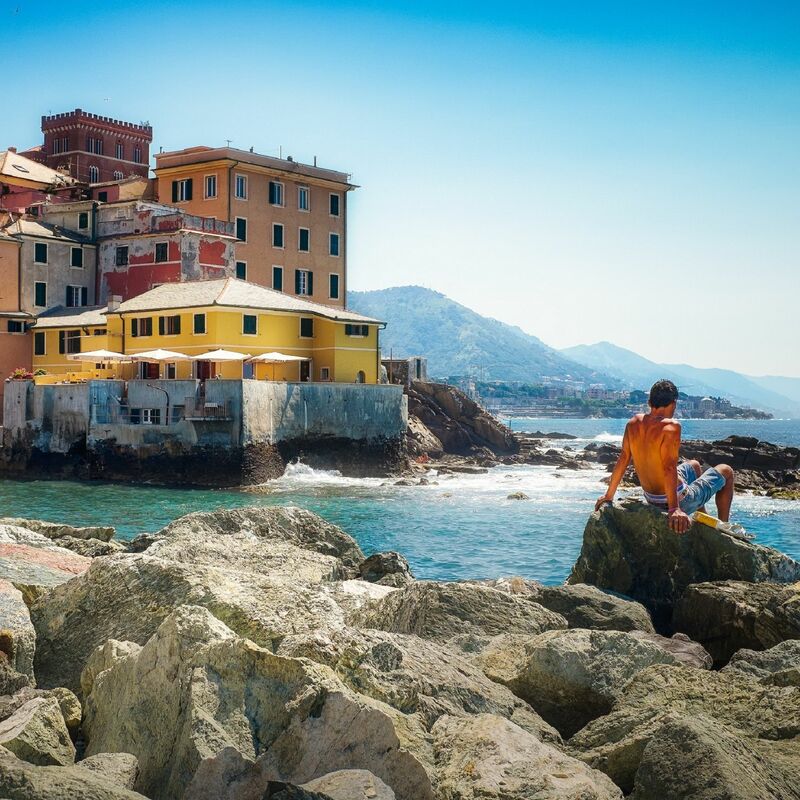 Through every itinerary of the city of Genoa the sea always emerges to complete panoramic views, either as background or as frame.